This document will walk you through the process of setting up your instance to take advantage of CAKE Basic’s commerce intelligence functionality. 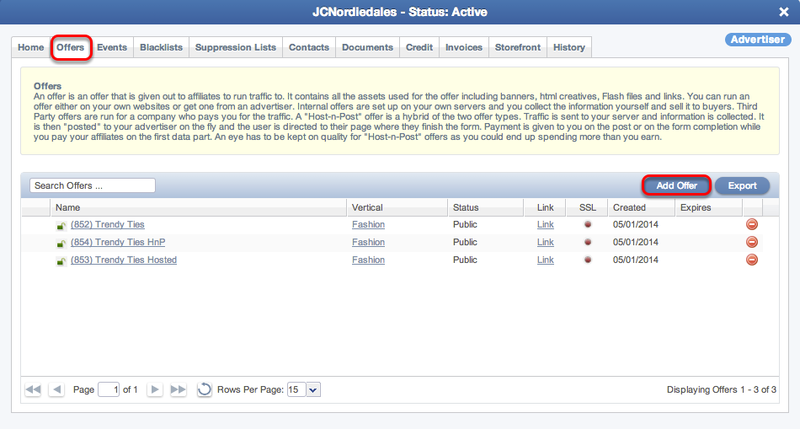 CAKE Basic set out to provide an easy to implement yet powerful view of your ecommerce campaigns. In performance marketing, accurate tracking and attribution plays a critical role in the success of your affiliate program. With CAKE Basic you can ensure correct attribution for your affiliates and publishers so that they are credited with each transaction. CAKE Basic provides you with a simple set of code - tracking links and conversion pixels - which connect the impression, click and ultimately, the order, along with appropriate attribution and accurate payouts. CAKE Basic supports two models for attribution – first touch and last touch. First touch simply gives credit for a transaction to the affiliate/publisher that was responsible for the first (initial) click. Conversely, last touch gives credit for a transaction to the affiliate/publisher that was responsible for the last click, prior to the order. (Server to Server) Postback URL: Also known as a server pixel. This pixel requires a request ID to be sent to the advertiser in the offer link. CAKE Basic accomplishes this by using the token #reqid#. This request ID needs to be sent back in the pixel in the parameter “reqid=” for a conversion to occur. 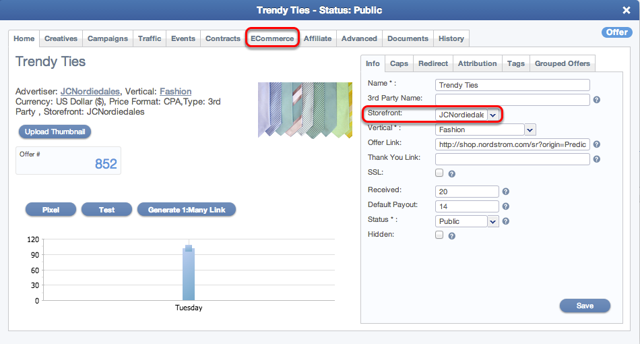 An affiliate places a banner with a CAKE Basic tracking link embedded. 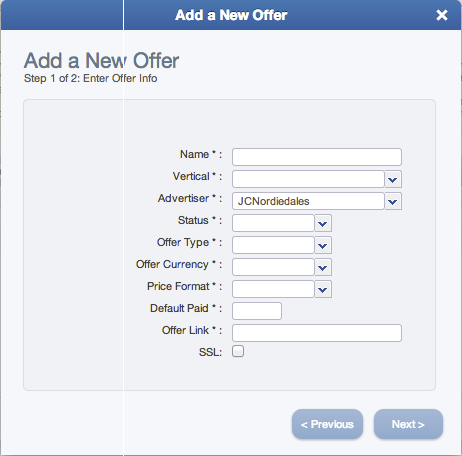 On the click, the customer is redirected to CAKE Basic to establish the initial click and is then redirected to the advertiser’s (merchant) website. This redirect is done very quickly and a cookie is placed on the customer’s computer with various pieces of data – this will be leveraged to give appropriate attribution at conversion. On the receipt page there is tracking code which notifies CAKE Basic that an order has been completed. The corresponding attribution is set (giving credit to the right affiliate). 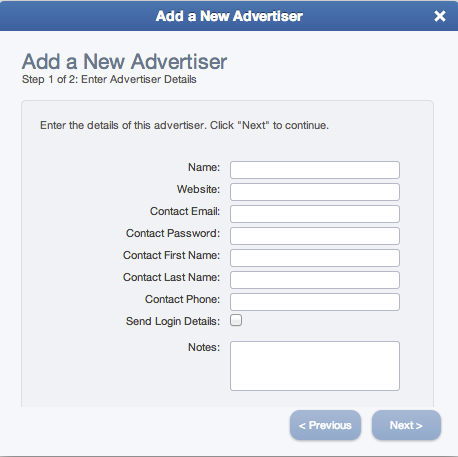 Click tracks through CAKE Basic and redirects to the advertiser’s website. Transactional data is populated into CAKE Basic. With commerce intelligence, we expand on tracking and provide deeper analytics to include transactional information (order details). By integrating CAKE Basic’s enhanced commerce pixel with the workflow above we can track attribution, payouts and provide details around a customer’s purchase – you can now see how much advertiser revenue (store sales) an affiliate is generating or which brands, products and/or storefront categories are most popular. *Note: In order to use commerce intelligence you must have Ecommerce enabled in your settings. If this option is not available you must request access from your Account Manager or purchase the add-on feature (cupCAKE Basic). As outlined in the above hierarchy there are two starting points in CAKE Basic – creating verticals and advertisers. You can create each independent of one another, but both provide the necessary infrastructure to ultimately start running traffic in CAKE Basic. 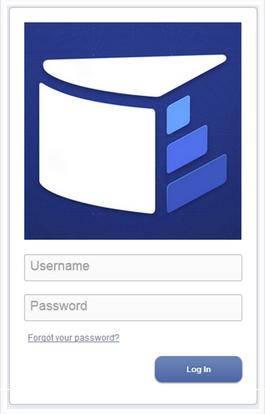 Once your CAKE Basic instance is available, go to the login screen (your Admin domain) and sign in. Now that we’ve created the initial infrastructure we can now create our Ecommerce advertisers and storefronts. As noted earlier, an advertiser can be your website or the website you work with. 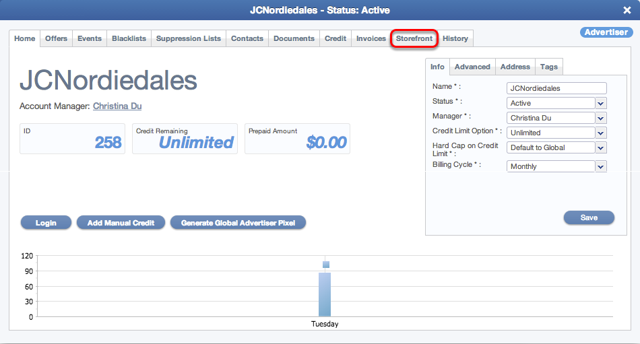 CAKE Basic provides a flexible infrastructure where you can create a single advertiser, if you have a single website. 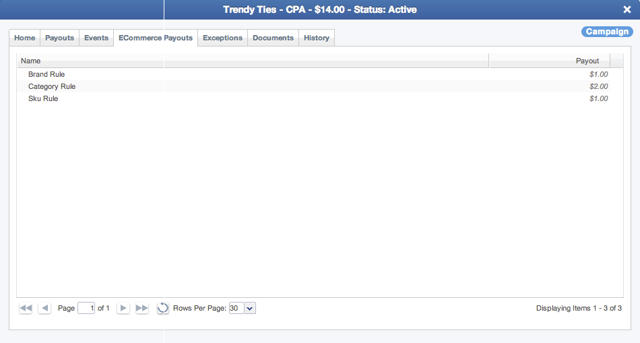 Or multiple advertisers, where each one represents a different website or business unit. For example, if you were a boutique ecommerce website, marketing cameras, you’d most likely create a single advertiser with your ecommerce website name. The nice thing about CAKE Basic is that it’s up to you to decide. You create your own business rules and we provide the platform. An advertiser can have single or multiple storefronts. Your advertiser might be a large portal site, which has access to multiple ecommerce websites. Each ecommerce website can be configured as a storefront. Again, CAKE Basic gives you the control on how you’d like to configure your storefronts. This will launch a wizard to create your new Storefont. Select the name of your storefront, the advertiser this storefront is associated with (from the wizard your advertiser will already be preselected) and the URL for your storefront. Click Next and you will be taken to the review screen. Review the information and click Finish. 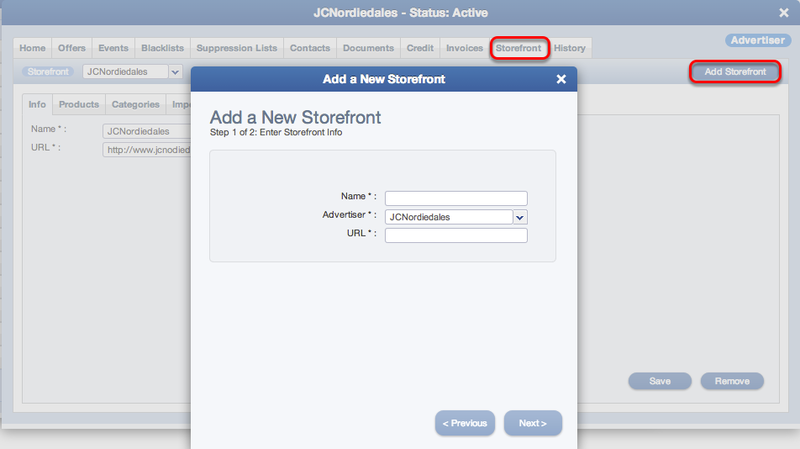 You have now created a storefront and can repeat this process if your advertiser has multiple storefronts. 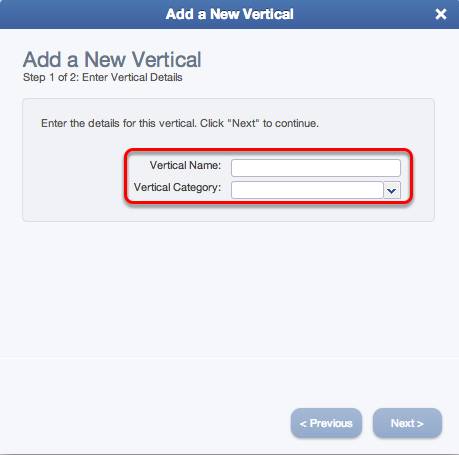 Categories – When you import your website’s category hierarchy into CAKE Basic you can review them in this tab. 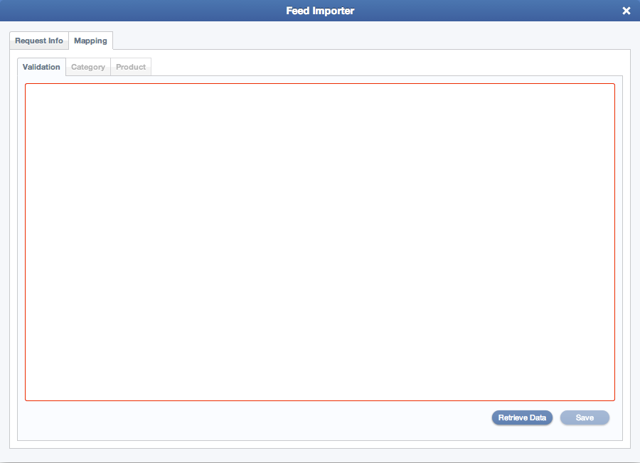 From the Storefront tab > Import Feeds tab you can manage your various feeds and feed types. 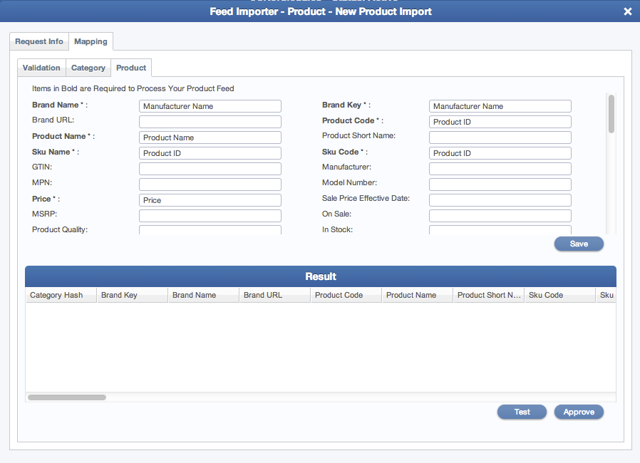 The most common is a Product Feed Import – CAKE Basic will import your website’s sku catalog. By importing your product feed, CAKE Basic can leverage the data to create custom payout rules and provide reporting analytics. 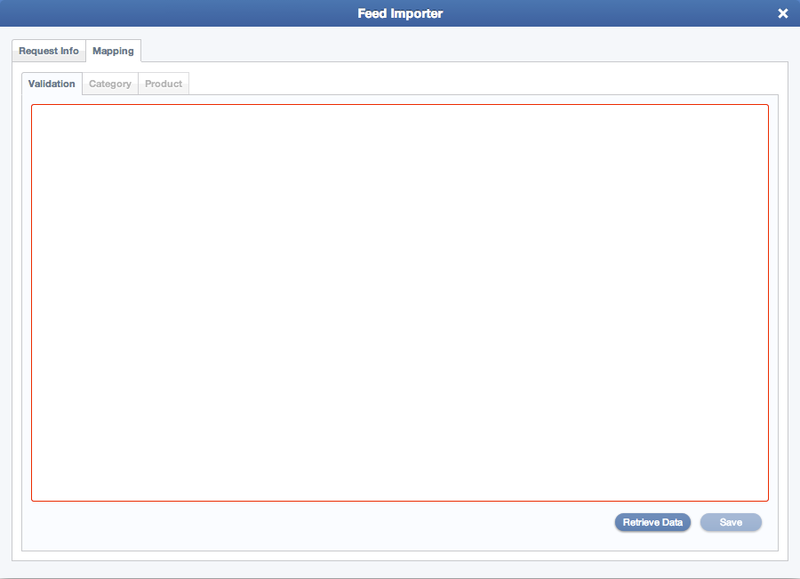 From the Import Feeds tab click the Add Import Feed button. 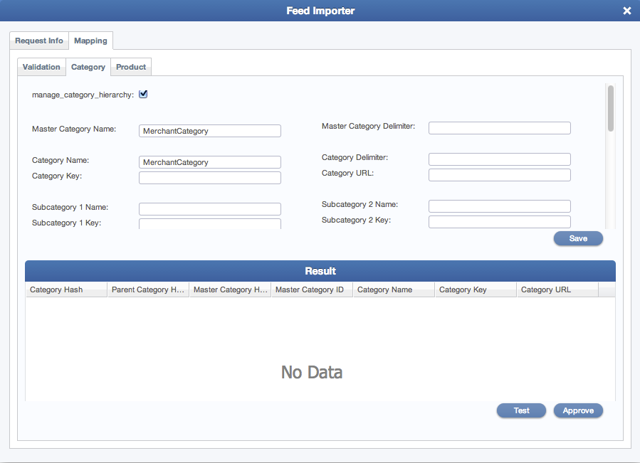 Response Type: CSV – CAKE Basic currently supports product feeds in CSV format. Frequency - You can select the time window for CAKE Basic to access and import your feed. The most frequent option is once per day, up to every 9 days. 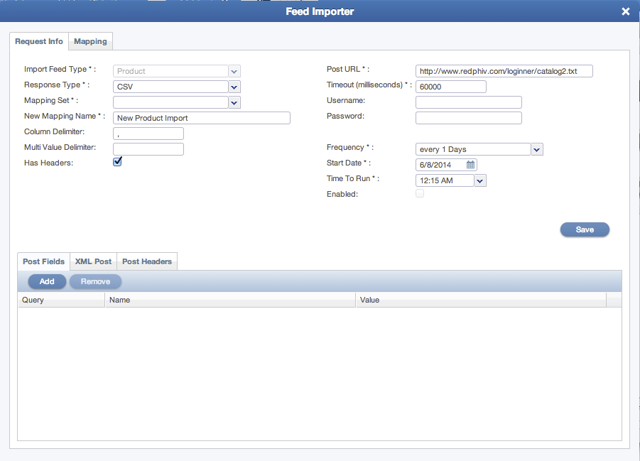 Start Date - You can select the Start Date from when CAKE Basic will initially pull down your product feed. Time to Run - Select or input the time that you’d like CAKE Basic to retrieve your file from the remote location. 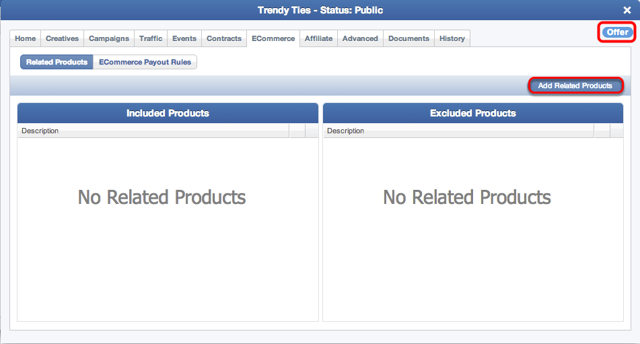 In this section, there are three tabs available to you – Validation, Category, and Product. Since CAKE Basic supports a scheduled process for importing feeds, we need an easy way to validate the import file, or portion of the file, prior to enabling the schedule. From the Validation tab, you can paste in a portion of your feed so that CAKE Basic can perform validation before the full file is imported. As an example, you can grab the first 10 rows of your import file (including the header) and we’ll use this sample set to validate the full file. 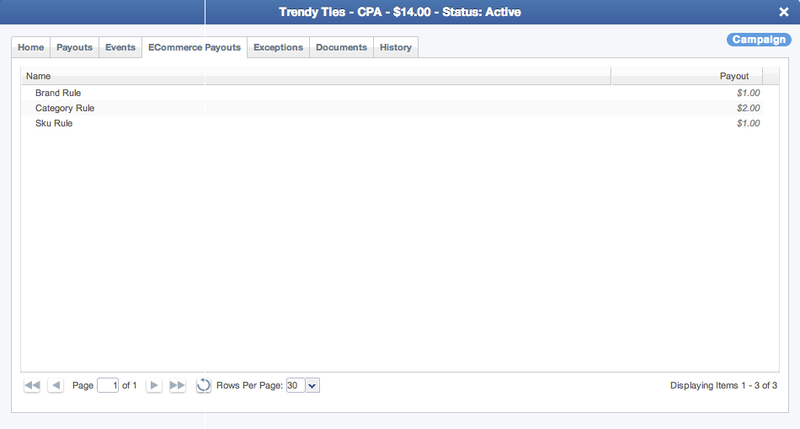 You will also notice the Master Category Name and Master Category Delimeter fields near the top of the Category tab. CAKE Basic maintains an internal listing of master categories, which is mapped in this field. You can see the list of master categories in the following location. Next, select the Product tab. In this tab, we are mapping the field values from the import feed to CAKE Basic’s master list of field names. The CAKE Basic list is extensive and not every field is required. The CAKE Basic values are listed to the left hand side of the grid. The feed header names go in the text boxes to the right. As an example you may have a field called Sku, which outlines the actual sku code from the advertiser’s backoffice system. 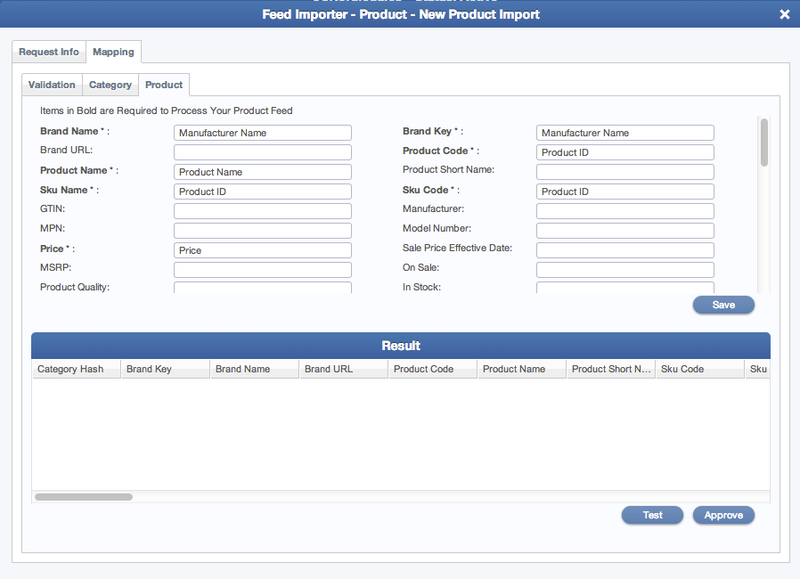 You can map your sku value to CAKE Basic’s Sku Code field – simply add in the column descriptor in the text box. Performing a complete mapping ensures that this data will be mapped correctly in CAKE Basic and made available to your affiliates/publishers. You’ve now successfully scheduled your import feed. 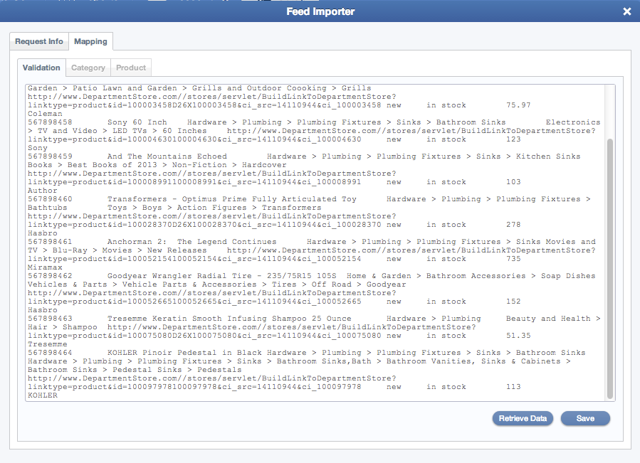 Based on the Start Date and Time, CAKE Basic will run the product feed import and populate your instance with your feed data. Note: CAKE Basic will retrieve the import feed at the scheduled time, but there may be some latency before the products are available for view in CAKE Basic. As an example, we have defined three Payout Rules – a Brand Rule, Category Rule and Sku Rule. When I open my Sku Rule, I see that I have one sku defined as a condition. If an order is processed, CAKE Basic will scan all the rules available and match each qualifying rule. By default, CAKE Basic will take all matching rules and select the highest payout. By default, we will scan all matching rules and select the highest paying rule for the entire order. In other words, if you have two line items in your order and they match on two payout rules – Rule #1 with a CPA of $2.00 and Rule #2 with a CPA of $3.00 – CAKE Basic will select Rule #2 and payout $3.00 since it has the higher payout. As a variation, CAKE Basic also supports a payout model that pays on each matching line item of your order, called Order Details Payout Rule. 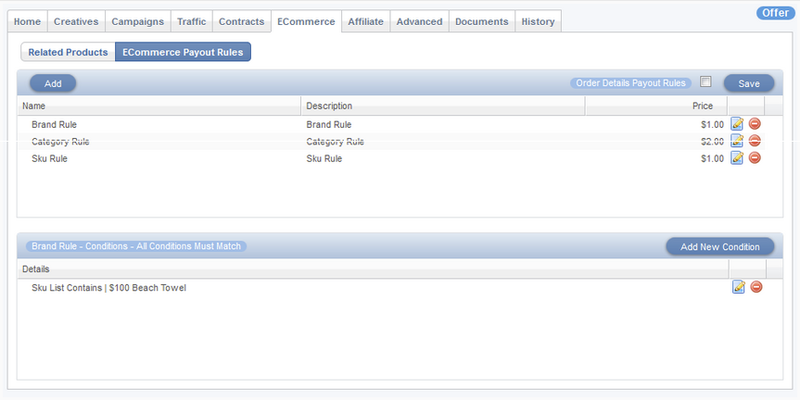 This can be enabled from the Ecommerce Payout Rules grid and once enabled, it will pay on each matching payout rule. For example, if you have two line items in your order that match on two payout rules, CAKE Basic will aggregate (sum) the two rules and payout that total amount. As part of our support for Ecommerce and product data in CAKE Basic, we also expanded the functionality of our commerce pixel. On Ecommerce (storefront based) offers you can now implement the CAKE Basic Commerce Pixel (conversion pixel) to pass order detail information when an order is generated. 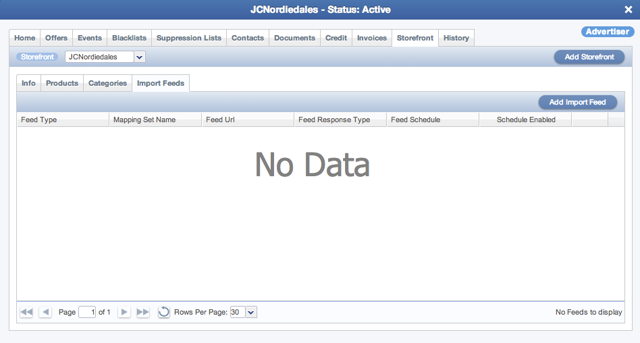 CAKE Basic provides both “raw” commerce and performance based commerce reports. When an order (conversion) is tracked the details of the order are stored with it – skus, quantities, order amounts, line item prices, etc. 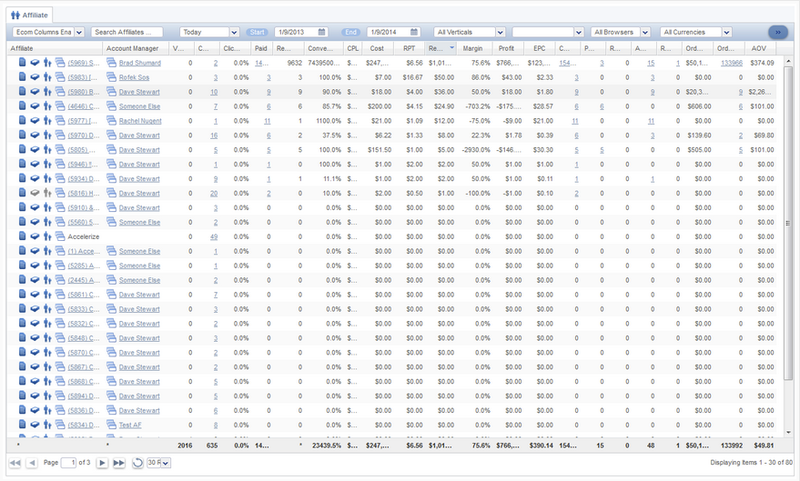 With this data we’re able to create detailed views of your ecommerce data. 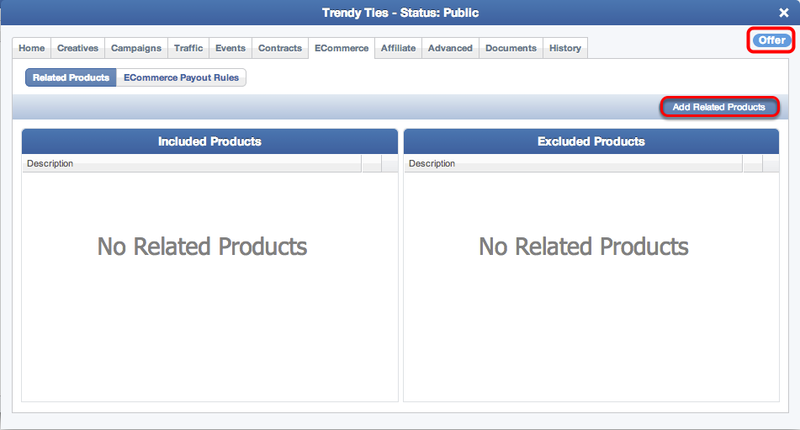 These reports give sku, brand, and storefront centric details about the orders that are transacted on the advertiser’s website. 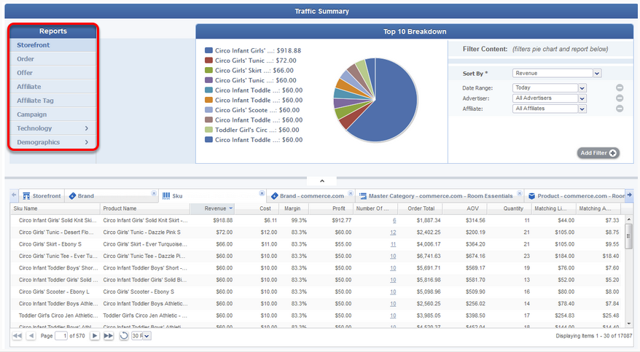 CAKE Basic provides multiple reports and drill downs to give you visibility on the types of traffic and orders being tracked. 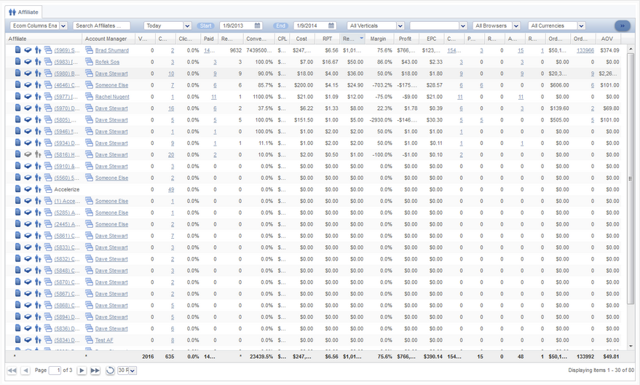 On each of the main performance reports, CAKE Basic has added Order Total, Orders, and AOV (Average Order Value). The reports also include a Storefront Filter so that you just see the respective performance data by storefront.